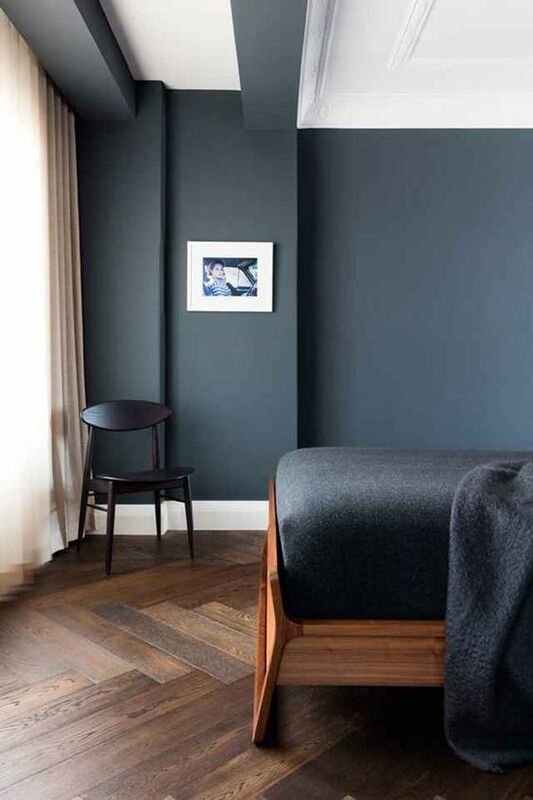 The trend for dark walls and light hardwood floors creates a dramatic contrast almost to tempting not to try. Strong colors ground a room and light hardwood floors add balance, light and space. 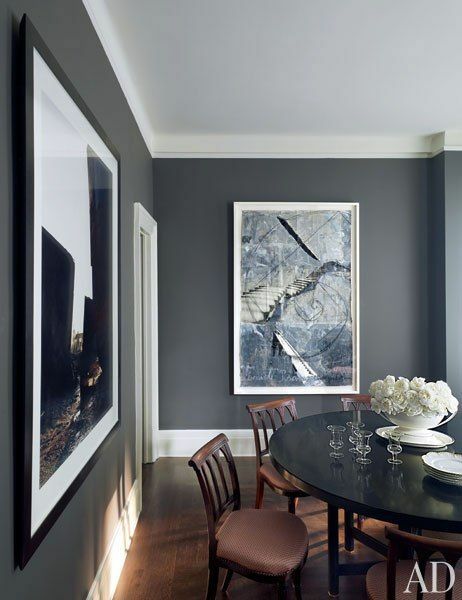 One dark wall, creates a feature, but four dark walls needs more attention and a lot of natural light. 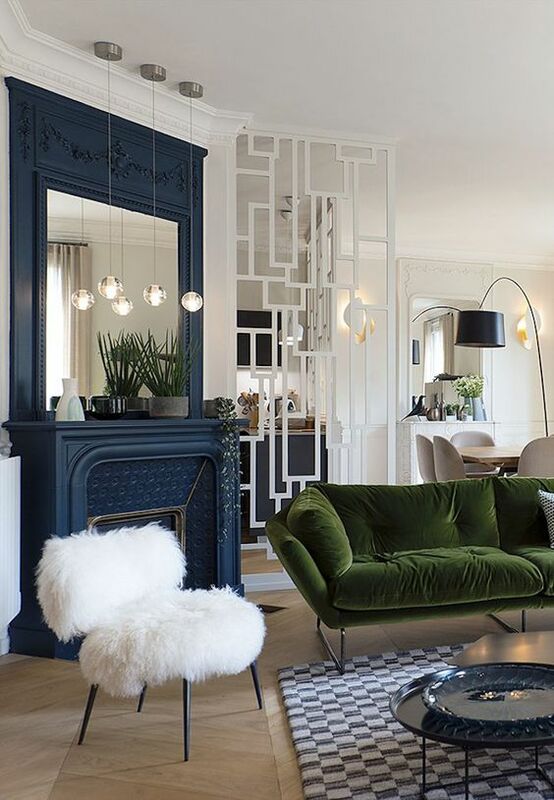 To balance the heaviness of these two forces you need mirrors, textiles, rugs, moldings and lighting. Each one creates a new focal point, taking the eye away from the somber dark walls and large stretches of light hardwood floors. Hardwood floors come in many colors and can have different highlights coming through the wood. Some are pale with a white, beige and even pink hue in the wood. Working this out before hand can make your decorating that much easier. Each one reflects a different light and color and you want to factor that into your decor. Matching your light floor with light colored furniture might seems like a safe choice but you may want to avoid this. When you match all the wood, the room can feel a little boring and even flat. Adding different styles, wood tones and materials looks more appealing, adding individuality and charm. When you mix a range of finishes, you add visual depth and interest. Suddenly, pieces pop with their color, texture, charm and beauty. Layering different wood finishes creates a more substantial, interesting feeling. Older pieces look beautifully aged, and work well in an eclectic, boho-chic look, so don't toss them because they are not new. 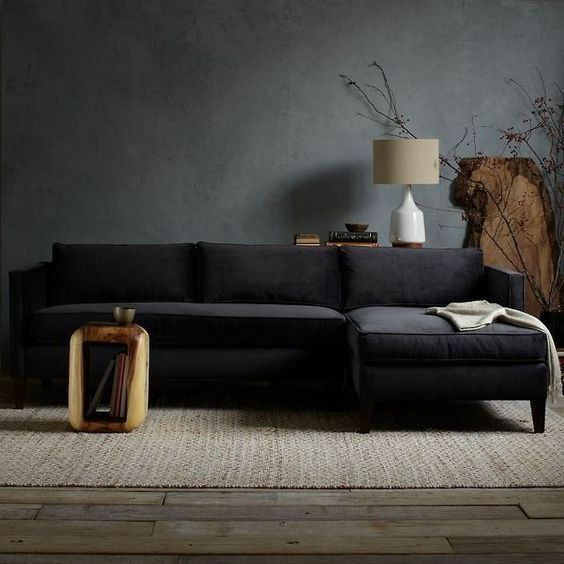 The different grains, stains and shades and styles looks fresh and adds a new dimension to your rooms. Dark walls crave for mirrors and artwork that are bright and light, ready to reflect light and interrupt stretches of dark colors. 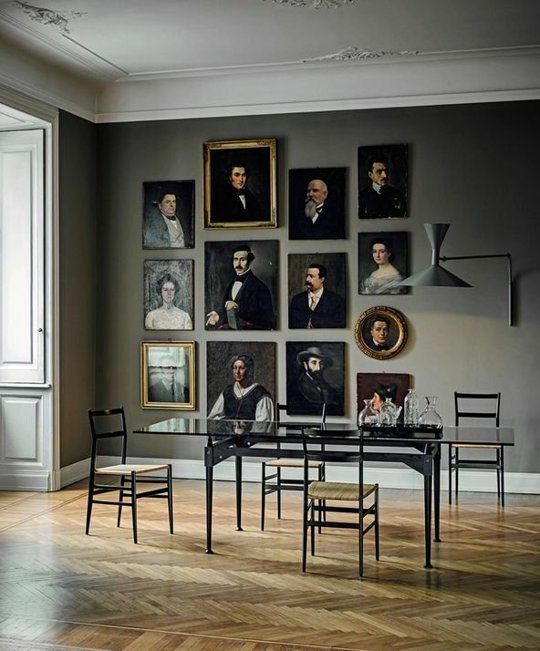 Large art pieces, gold framed or frameless, or a gallery of grouped prints, appear to float on the wall, creating different points of interest around the room. 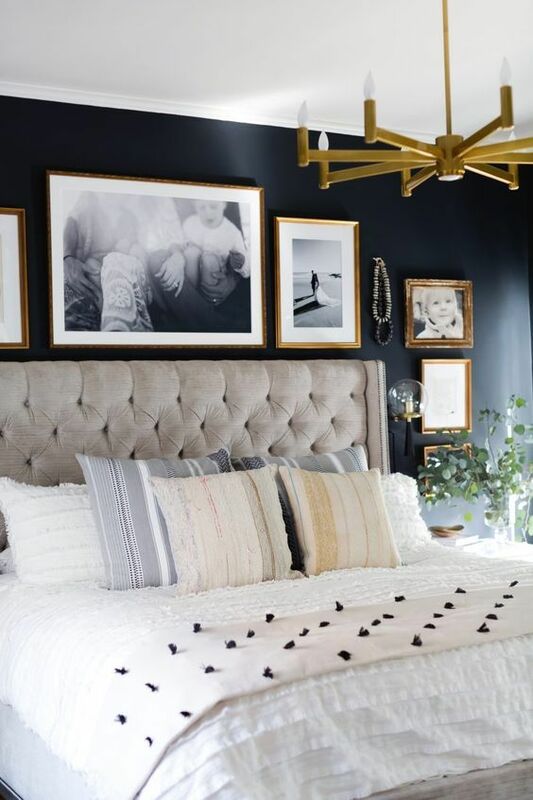 If you have too many dark framed pieces, switch them out or remove the frames. 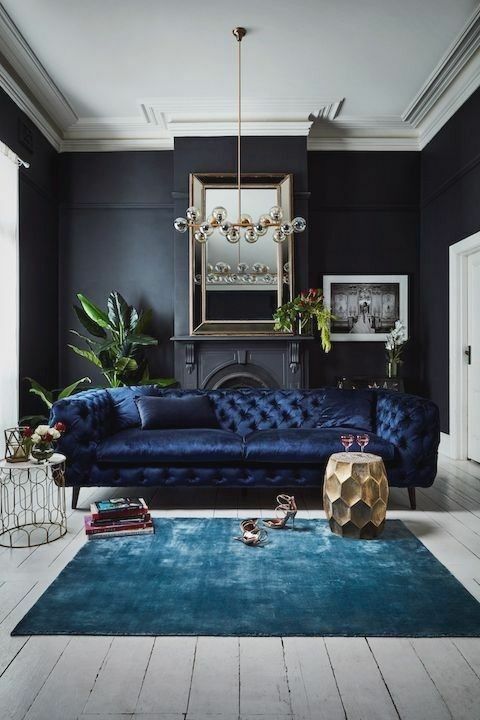 You want to create a contrast against the dark walls and not add to it. Never ignore mirrors in rooms with dark walls. Mirrors reflect light across a room, making it feel bigger and brighter. Hanging a large mirror on dark walls helps to keep the room feeling light, reflecting your light hardwood floors. 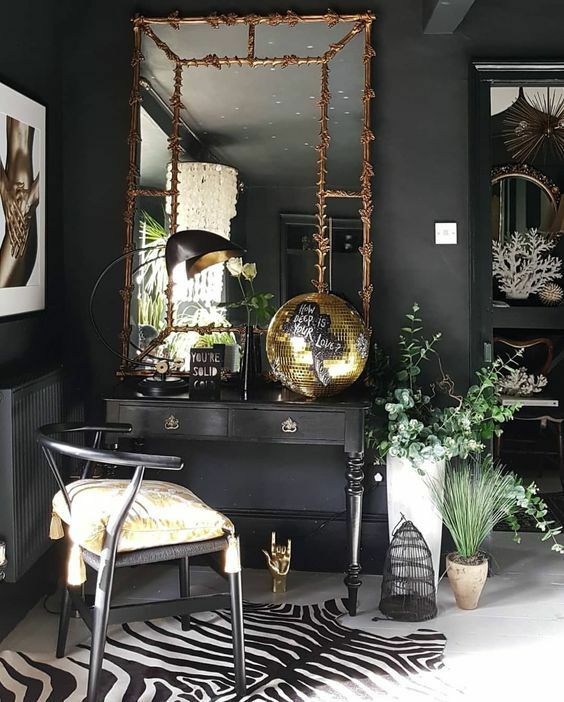 Metallic frames, smaller mirrors and mirrors of different styles and shapes all help to add more light and interest to your rooms. There are lots of ways to create features and warmth in these rooms. One way is to add texture and color. Light colored, rich tapestries, rugs and macrame all add contrast beautifully against dark walls and light floors. It can be woven, patterned, new, modern, vintage, in deep greens, blues, mustard yellow or floral. 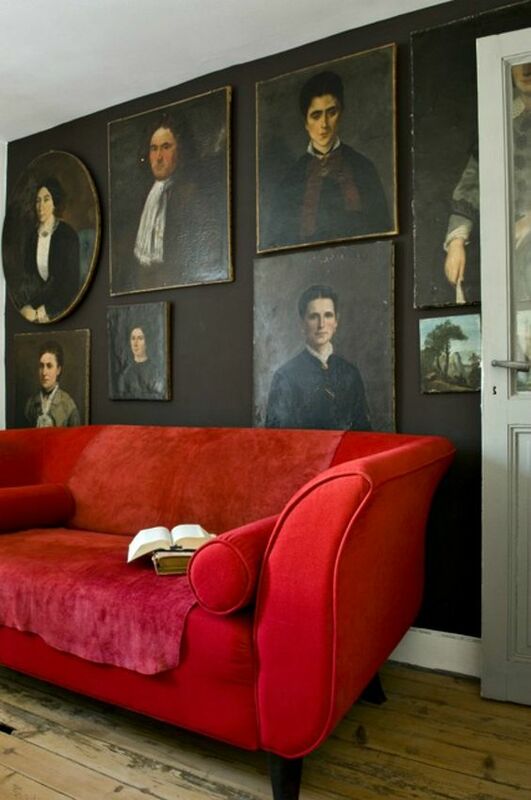 Be creative and stretch silk, an old rug or interesting fabric and frame it for your wall. Plush rich, Chinese or Turkish area rugs in different patterns or colors are perfect to create a focal point in your rooms. 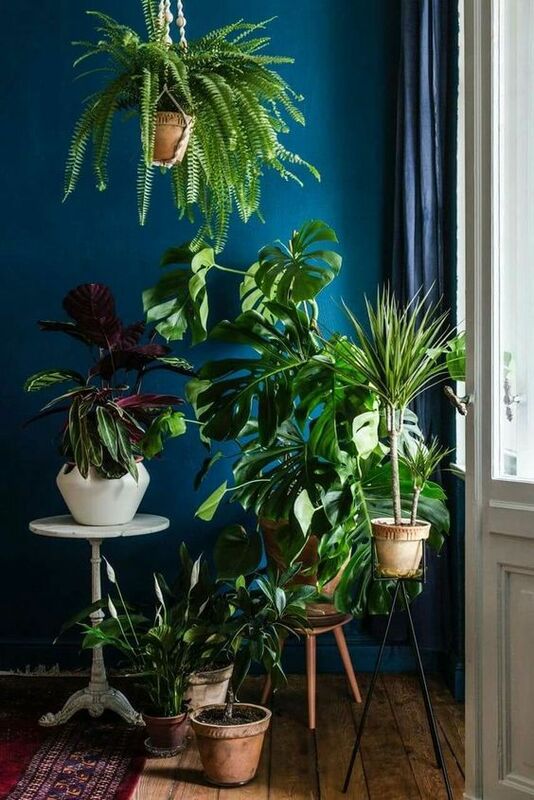 They help to naturally create zones within a room. 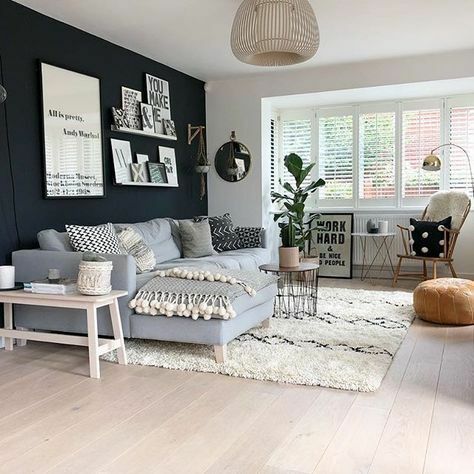 Monochrome area rugs with a lot of pattern or texture add a sculptured look to any light hardwood floor. 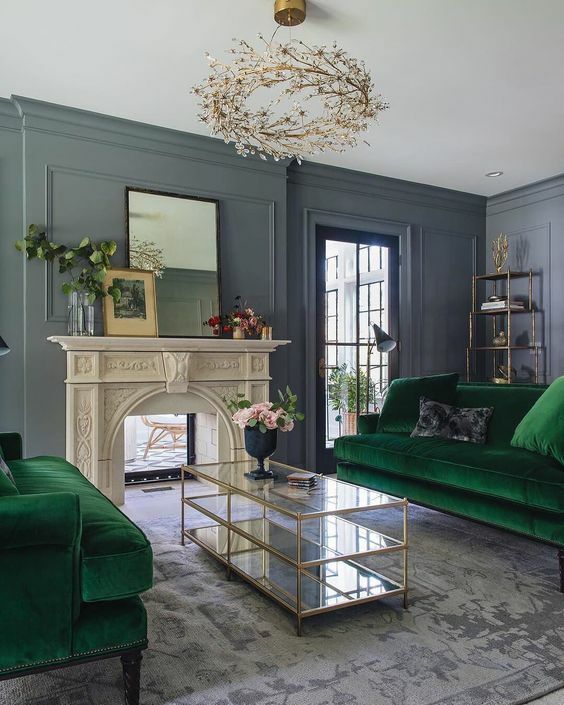 In most cases you can use a light contrasting color for you crown and base molding. If you have very low ceilings you might decide to avoid crown molding all together. 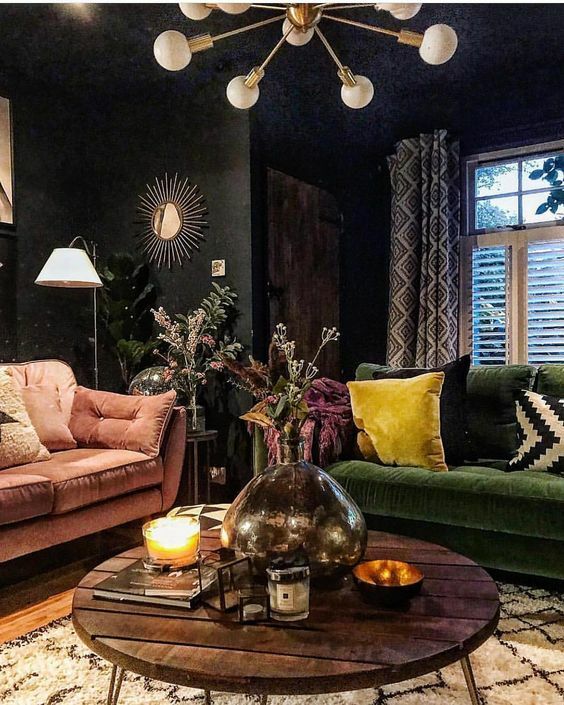 Dark walls need soft, subtle lighting, or even pink bulbs, near the wall. You often need more task lighting, and track lighting tends to cast a very strong light. Sconces, floor lamps, up lights, all with soft bulbs will give you a glow that adds to the ambiance of your room.